Evil minds that plot destruction"
More from skin fair for you! 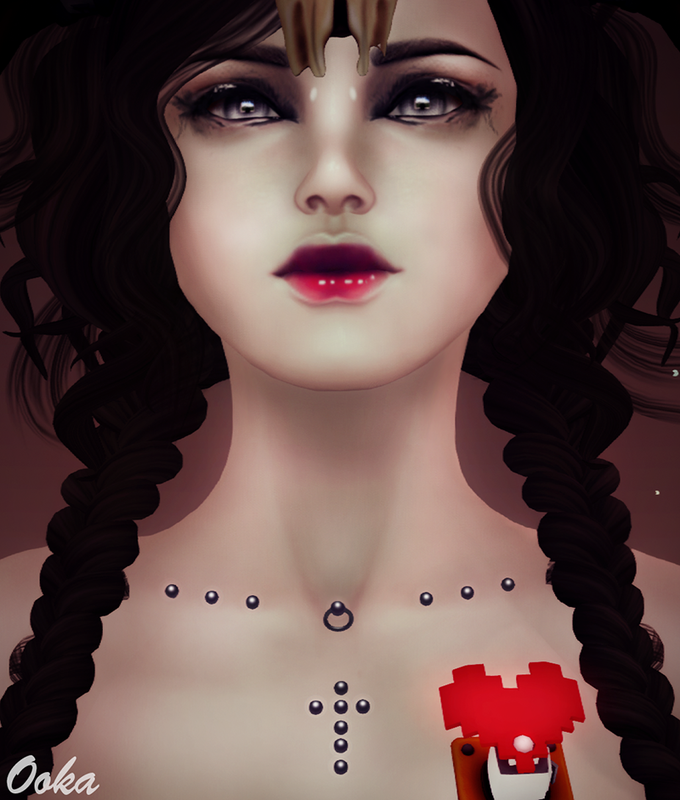 I absolutely love the eyes made by Dead Apples so I guess it should come as no surprise that I love the skins she's made as well. In the pictures I have on the Porcelain tone. It comes with 10 different brow's, that vary in shape and colour, 4 lip tattoos with different shades, 4 freckle layers including body, make up layers for rounder cheeks and for extra "dewiness", 3 brow shapes and a shape! The eye and lip makeup is from Skin Fair as well! The headdress is by Alchemy for this round of We <3 RP. They fly around you! Some have music, some have other sounds, all are so damn cool. There's even one named Francis Bacon, he might be my favorite just for that name! Have fun guys, happy wanderings!